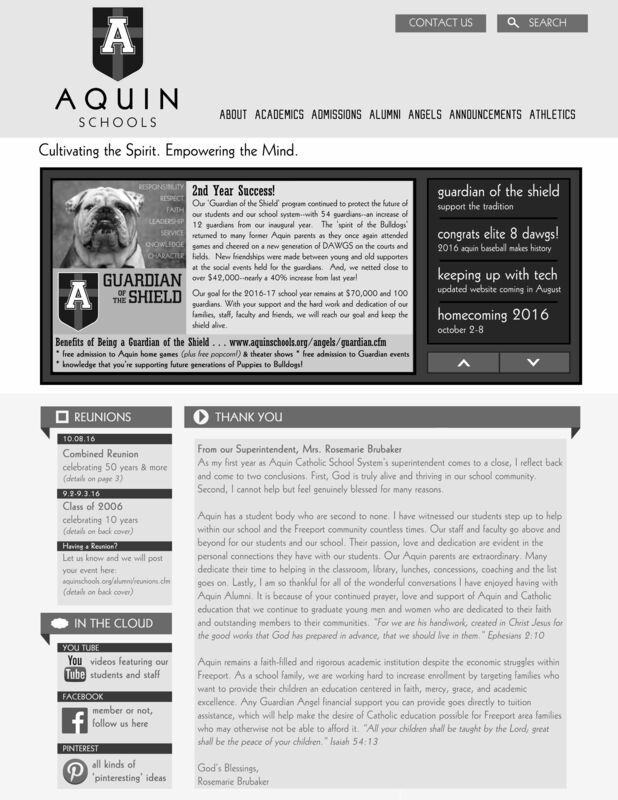 The newsletters are linked below as interactive books. If your computer does not open them when you click on the pictures, please use the links on the right to open the documents. an annual production from 'Aquin Publishing'. 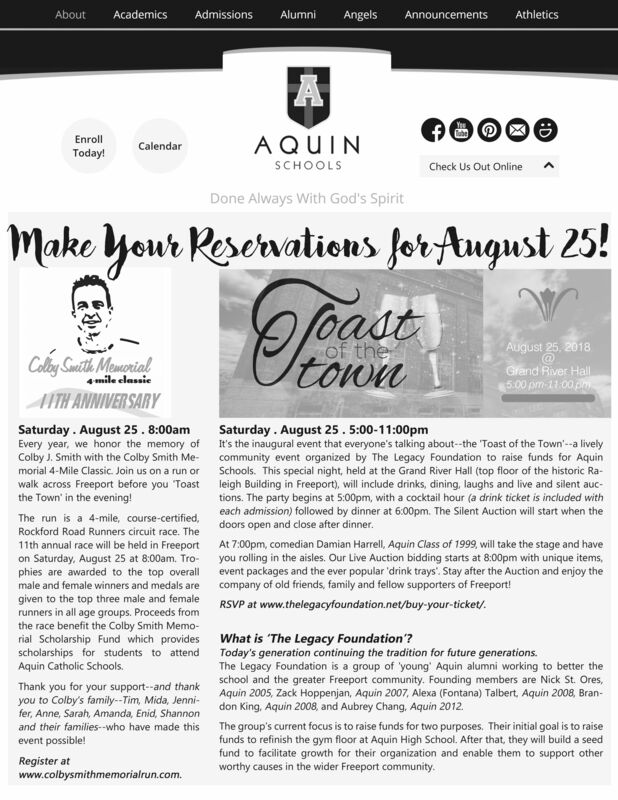 Currently, we mail 2500 copies to our alumni, donors, friends and families of Aquin Schools. We are also working to make an electronic archive of all previous newsletters. When we do, they will be accessible on this page. 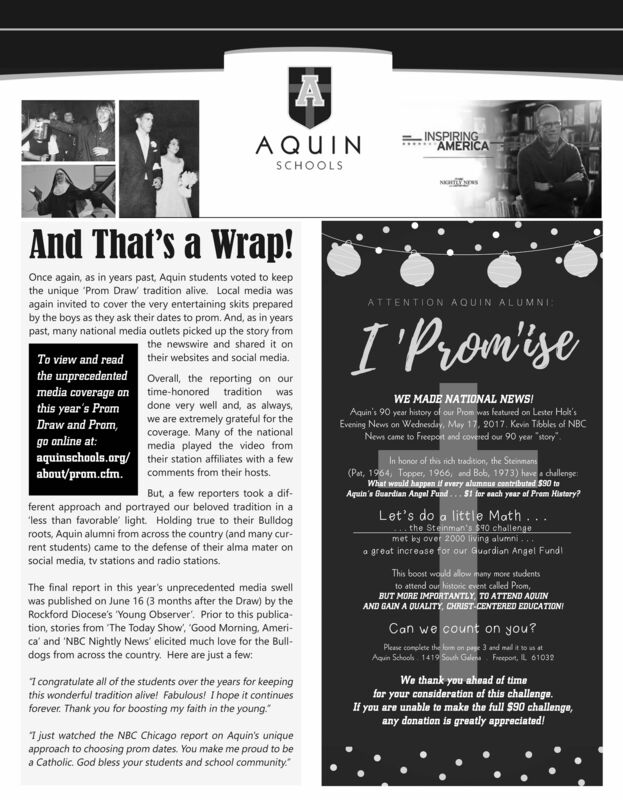 If you haven't received a copy in the past, and would like to, please email laura.diemer@aquinschools.org to be added to the mailing list. Our goal is to eliminate mail-ing costs and become a strictly 'electronic' production.